Residents of Aliso Viejo, California get to enjoy some of the best weather that there is to experience in the United States. More than three quarters of the days are sunny which makes driving an experience rather than just a means to get from one place to another. The lack of rain means; however, that there is a greater chance of experiencing damage to one’s auto glass than in other states. If you find yourself in the unfortunate circumstance of experiencing damage to your auto glass Aliso Viejo, then Aliso Viejo Mobile Auto Glass is here to help take care of you. Our company has been taking care of clients in the local Orange County area for more than a decade, and we have been there and done that when it comes to taking care of auto glass repair issues that arise for customers of all types. 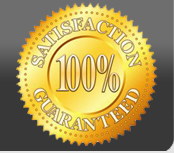 Our company has focused on honing our craft and taking care of our customers for more than ten years. Based in Aliso Viejo, California, we have a proven track record of servicing customers throughout the local area. Our team started out by providing high quality, mobile glass repair services from the start. We commonly see clients who just don’t have the time to devote even a half day to taking their automobile into a shop to wait for glass repair or replacement jobs to get done. When leaving a cracked windshield or other auto glass, the odds of the damage growing to a more costly replacement job are high. To help avoid this potentially costly eventuality, our highly experienced mobile repair teams are standing by to respond to your needs throughout the local area. If you have suffered auto glass damage, please give our friendly staff a call. We will thoroughly review how bad the car or truck’s windshield or other glass has been damaged with you first to make sure a glass replacement is not required. Then, we will schedule one of our mobile repair teams to meet you just about anywhere in Orange County to take care of your automobile. We commonly come to our customer’s homes, places of work, or even the local Starbucks to do jobs. Depending on the nature of the damage, our repair work commonly gets done in less than 45 minutes, while a more intrusive windshield replacement can take our team several hours to complete. Every job that we do is unique; however, so our lead technician will make sure that he or she is fully transparent with you regarding expectations and how long our team will need to get your ride back up to specs to be on the road. Once the mobile repair teams from Aliso Viejo Auto Glass have completed our work, we make sure to thoroughly inspect your automobile to ensure we haven’t missed anything. If we notice additional glass damage, our senior tech will bring this to your attention with a recommendation on a course of action. We also make sure that our team thoroughly cleans the work site and does not leave any annoying trash behind for you to worry about. We finish every job with doing a thorough vacuuming of the automobile to make sure you do not see one shard of glass left behind. Our company also stands behind our work and provides a full warranty on all repair and replacement glass work we do on your vehicle. If you are in need of high quality auto glass services, please give us a call today. Most car and truck owners hate the feeling that comes over them when seeing significant damage to the auto glass of their vehicle. If you find yourself in a position of having to seek out an auto glass replacement service, then the highly experience technicians at Aliso Viejo Auto Glass are here to help take care of your needs. Whether your vehicle has suffered damage from airborne debris on the busy roadways here in Southern California, or someone has broken into your automobile, our technicians have honed their skills over the past 10 years working on just about every type of automobile on the roads here in California. Our mobile repair teams can commonly complete an auto glass replacement in a few hours, while our repair services commonly get finished in less than an hour. There is no worse feeling for an owner of an automobile than having damage to the point of needing an auto glass replacement service. It doesn’t matter if you’ve been the victim of a horrible break-in or had the misfortune of a stray rock or other road debris hitting your windshield, having the glass of your precious vehicle damaged is stressful. At Aliso Viejo Auto Glass, we have helped our customers deal with these stress inducing evens for more than a decade. We are experts at providing a high quality auto glass replacement services for our customers. Our technicians have honed their craft while taking care of numerous Orange County residents and visitors to our area of Southern California over the years. On top of their “hands on” experience, our techs also have the latest information from maintaining their certifications to work on just about any auto manufacturer that has vehicles on the road in California. The mobile repair teams from Aliso Viejo Auto Glass are also some of the most highly insured you will come across in Southern California. Our company believes in making sure our customers do not have to worry about anything when you hire us to take care of your auto glass replacement and windshield repair needs. We also recommend that our customers seek out our high quality auto glass repair service as soon as practical after experiencing damage to you auto glass. His helps our teams minimize the overall damage to your vehicle, and lets us get you back on the road in some cases in under 45 minutes. We take great pride in bringing a full auto glass repair shop to your location without the need to come back to the main garage to pick up any parts or materials. If you require window tinting, we can provide that for you as well. The highly experienced team at Aliso Viejo Auto Glass is standing by to answer any questions you might have about damaged or broken auto glass. We are experts at auto glass replacement services, and commonly help customers get damage repaired in a short timeframe. Our staff only uses manufacturer approved parts, materials, and procedures to ensure your automobile is as safe as it was when you first purchased it. Our company also stands behind our work, and provides a full warranty on all glass replacement and repair work that we accomplish. If you find yourself in need of a mobile glass repair team in the Aliso Viejo or surrounding area, please give us a call today. Aliso Viejo Mobile Auto Glass provides excellent auto glass repair services in Aliso Viejo CA, Mission Viejo and surround areas. We have free mobile service anywhere in Aliso Viejo California. We are Aliso Viejo Auto Glass – Aliso Viejo Mobile Auto Glass Repair – Auto Glass Repair Aliso Viejo – Auto Glass Aliso Viejo – Auto Glass Mission Viejo. We perform excellent Windshield Repair Aliso Viejo – Windshield Replacement Aliso Viejo. Our company also does Window Tinting Aliso Viejo – Auto Window Tinting Aliso Viejo – Aliso Viejo Window Tinting. Call us today for a free estimate on your mobile auto glass. We are known for excellent Auto Glass Repair Mission Viejo – Windshield Repair Mission Viejo – Auto Glass Replacement Mission Viejo – Window Tinting Mission Viejo – Auto Window Tinting Mission Viejo. Call us today for you Auto Glass Aliso Viejo CA. We come to you completely free of charge so call us today at 949-298-3218 for a quick estimate.